M&C Saatchi Sport & Entertainment has promoted key members of its leadership team, including chief executive Steve Martin, who has become global CEO. The London-headquartered agency said Martin’s new role will involve more focus on growth across its six global offices - New York, Los Angeles, Berlin, Sydney and Johannesburg, as well as the UK capital – while also looking at new office openings. Jamie Wynne-Morgan, who joined Martin in 2004 to help launch the UK agency, has been promoted from MD to UK CEO with a remit to "drive the ongoing momentum of the London office". Jodie Fullagar and Richard Barker have been promoted to joint managing directors to "strengthen the UK leadership team", the consultancy stated. Fullagar joined M&C Saatchi Sport & Entertainment 12 years ago and has led the entertainment offering as head of entertainment since 2016. Barker has returned to London after five years running the New York operation, during which time the office doubled in size with wins including Oakley, Paris Saint-Germain FC and TaylorMade. 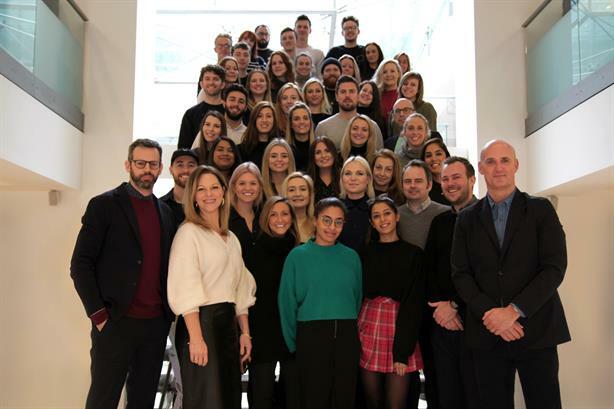 Martin said: "The agency had a very successful year in 2018 across all of the key markets, with some significant new business wins on top of organic growth of the current client portfolio. "Whilst we want to continue to look to expand the Sport & Entertainment group of agencies globally, it is really important that we focus on keeping this momentum going in our six existing agencies and invest in key talent to help achieve our growth targets. Our London offer is vital to the success of the overall group and I am delighted to be able to create such a strong Leadership and management team to drive the UK market opportunity." At its half-year results in September, parent company M&C Saatchi said Sport & Entertainment was "continuing to trade particularly positively". PRWeek’s most recent UK Top 150 Consultancies report showed the agency grew revenue 17.1 per cent to £8.25m in 2017, employing 67 people at the year end. The agency’s clients include Coca-Cola, NatWest, Heineken, Ballantine’s and Reebok.